JEFF Howe of Yanchep has been recognised for his outstanding individual contribution to the volunteer marine rescue service. Mr Howe, who is the Volunteer Marine Rescue WA commander, is a life member of the Two Rocks Volunteer Marine Rescue service. 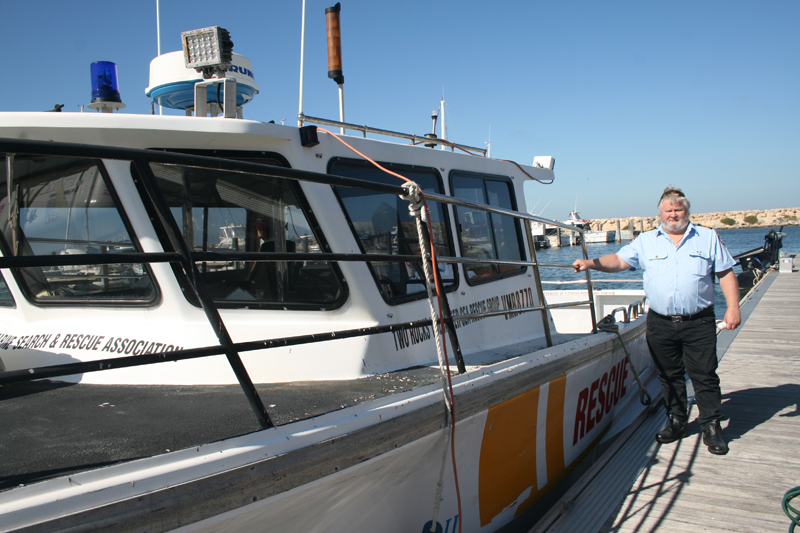 As the marine rescue spokesman in WA, Mr Howe has been a steadfast supporter of volunteer marine rescue volunteers and promoting marine safety education. This includes supporting volunteer marine rescue groups to transition to the national standard for commercial vessels that provides a common standard for the design, construction, crewing and operation of vessels. He was also recognised for his role in the process of volunteer marine rescue groups joining the Department of Fire and Emergency Services (DFES), with WA one of the few states to have all groups under the one banner. Mr Howe said having all volunteer marine rescue groups under the one banner benefited volunteers and was better from an organisational point of view. Having them all under the one banner, especially a government department, was an easier way to organise quality resources across all the volunteer marine rescue groups. He said DFES did not have operational control over the volunteer marine rescue groups. But they provided administration services and were a conduit for funds from government. DFES and the volunteer marine rescue groups collaboratively put together standards for vessels and road rules and all the things behind the scenes that were necessary to put a boat and a couple of volunteers on the ocean. He said there had been some challenges in getting all the volunteer marine rescue groups together under the one banner. Some years ago the groups had broken away as there had been organisational issues and not everyone travelled at the same speed. He said it had to be kept in mind that regional volunteer marine rescue groups such as those in the Kimberley faced different issues compared with groups in the metropolitan area. Volunteer marine rescue groups such as those in Two Rocks got to carry out more rescues but it was important regional groups were not left behind when it came to resources. He said when the Australian Maritime Safety Authority (AMSA) decided to bring in national standards, which meant the groups would change from a domestic standard to a commercial standard the states and territories worked together to form a national body to come up with a volunteer friendly and realistic training and vessel standards outcome. Fire and Emergency Services commissioner Darren Klemm commended marine volunteers for their dedication to protecting life at sea. “In the past 12 months, volunteer marine rescue groups have dedicated more than 105,000 hours of their time responding to 1400 incidents at sea – this doesn’t even factor in the countless hours they commit to training and community education,” he said.